Our Woodrich Brand 10lb Complete Wood Restoration Kit covers up to 3000 square feet and contains everything you need to restore a wood deck, wood fence, wood siding, or log cabin. We developed EFC38 to tackle your tough wood deck restoration projects fast. 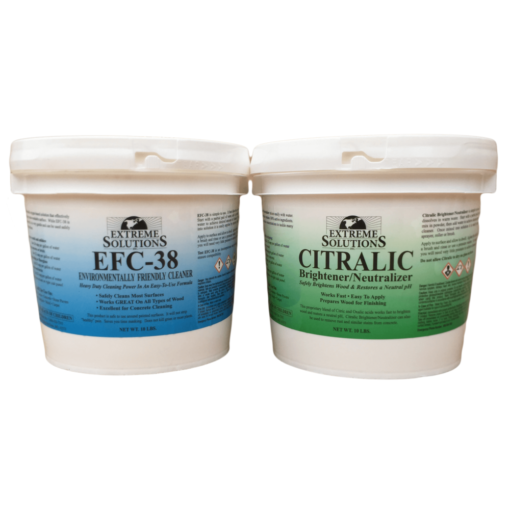 This unique formula provides the strength necessary to strip most semi-transparent stains and sealers, dead, gray wood, mold, mildew, and heavy accumulations of grime. 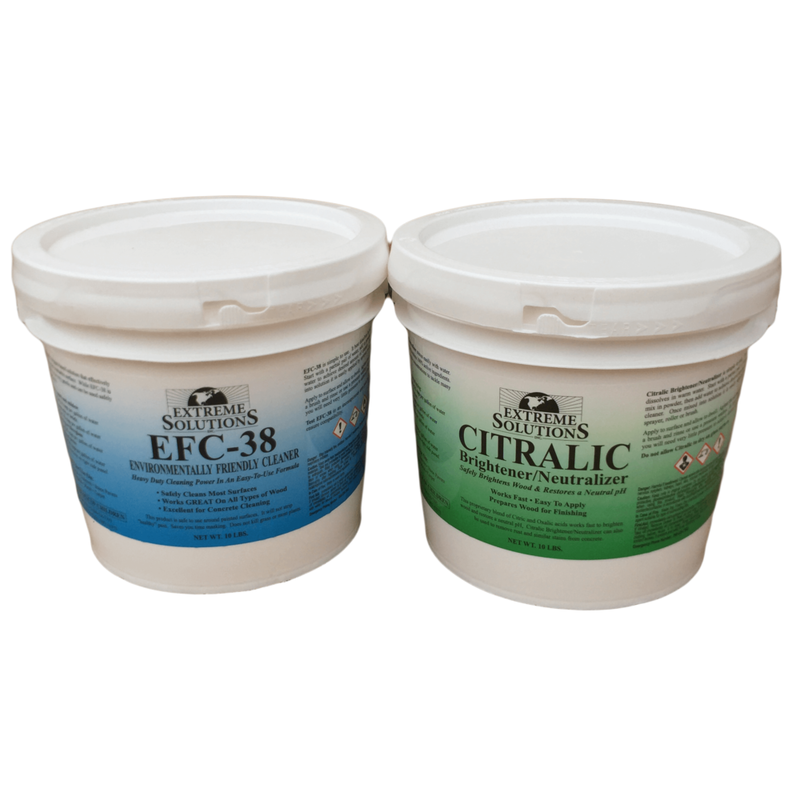 Citralic was designed to neutralize and brighten wood quickly, without the unwanted bleaching or damage to the wood. This step in a professional wood restoration achieves that like-new look of fresh cut wood. Proper surface preparation is the key to successful wood restoration. If you have questions or need help with your wood restoration project, you can count on Woodrich Brand to provide outstanding professional personalized support by calling us @ 636-288-8512 or emailing support@woodrichbrand.com as well. Also, you can visit our gallery or forum for tips, creative ideas, and support from the Woodrich Brand community. i had a very good experience with the product. the cleaner worked great but i could not tell much from the brightner. i have a pressure treated pine fence so i’m not sure if that hendered the results or not. overall my fence looks 100% better!